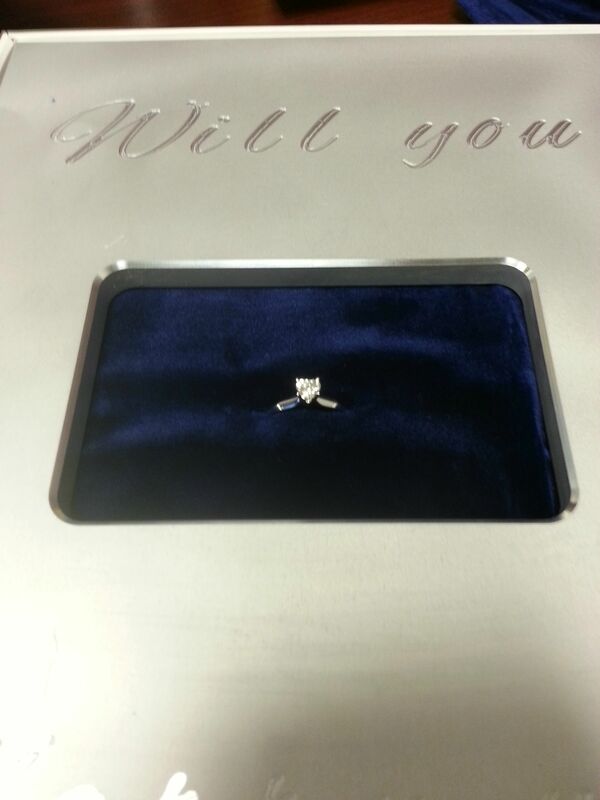 iDo: Would you accept a proposal delivered in an iPad box? It’s Christmastime and for some people, coming up with a creative way to exchange presents is an art form. 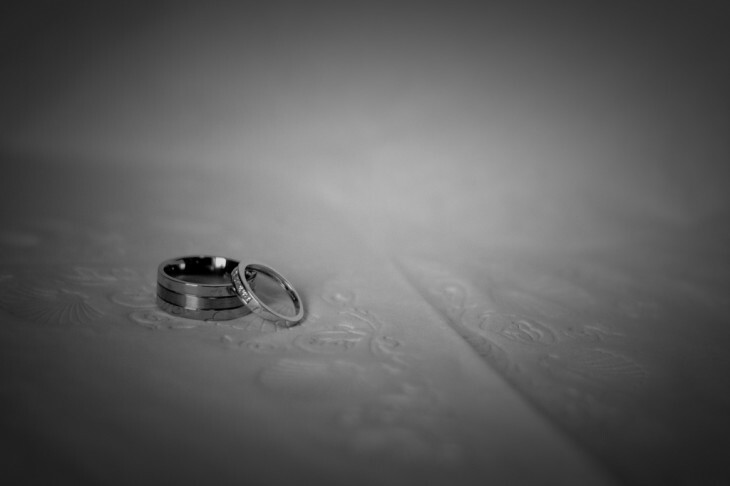 But for one person in particular, he’s gone above and beyond — not because of the gift, but so that he can propose to his girlfriend. On Reddit last week, user rad_rob posted that his girlfriend thinks that she’s getting an iPad for Christmas. But instead, inside the box was a ring. Yeah, he wanted to propose and what he did was the latest in the next step of geekery. She obviously wanted an iPad, but perhaps turns out she’s much happier with what’s now on her finger. 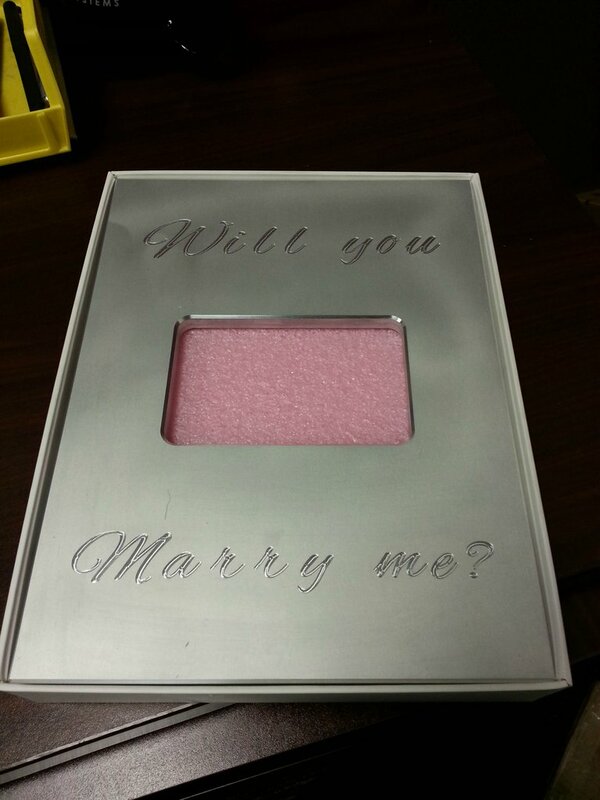 Rad_rob posted a few photos of the entire process, including the creation of an aluminum plate engraved with “Will you marry me?” on it so that once the box is opened, there’s the ring. A lot of work went into the creation of this plating and you can see the entire process right here. That’s not the finished product either. After a few more touches and tweaks here and there, it was finally complete and it was posted online for everyone to see. I decided to do it on Christmas eve morning. Her whole family came over to her house to open presents, and I figured that would be the best time. Everyone was already in on it, so they all insisted she open my present first. She opened it, and was super excited about getting an iPad. She decided she wanted to use it immediately so she started opening it. I put some clear plastic stickers on the box since I couldn’t find a place to shrink wrap it for me. As I was helping her with that, I got down on a knee. After that, it was pretty much all blank. I know I cried a little, and as soon as I opened the lid on the box and she saw what was inside, so did she. She immediately said yes, and threw her arms around me. I felt like a total stud. Don’t worry, Rad_rob also got his girlfriend an iPad too. There’s apparently video of the whole occasion and when it’s available, we’ll post it here for you to see. Congratulations to the newly engaged.